Player-Driven Open World - Progression throughout the game is defined by you. Whether you want to focus on developing your home, helping the villagers become masters of their craft, levelling up your character so that you can take on anything or exploring the vast world of Rite of Life. You set your own objectives. Influence The Economy of Your Home - Bring materials back to your village and watch as your home develops from a small encampment into a prospering town. 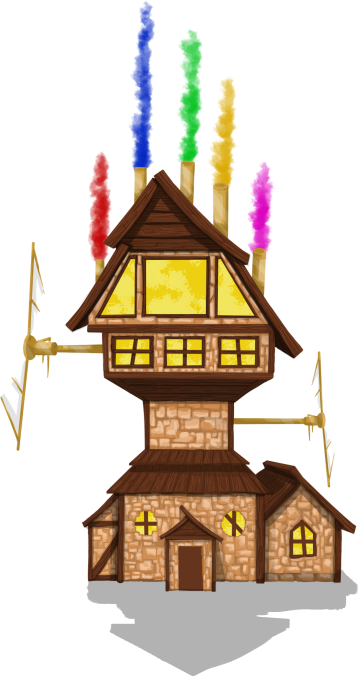 Level Up Villagers - Bring relevant materials back to your home to help the villagers train in their specialised craft. As they improve, more will unlock in their shops. The Spectrum System - A unique levelling up system inspired from Final Fantasy X's Sphere Grid. Allows you to level up your character how you want to in order to suit your playing style. Innovative Town Editor Mode - Customise the look and feel of your home with an in-game editor mode. Also complete unique quests only possible using the town editor. Interior Editor Mode - Decorate your house with numerous items you find, craft or buy. Seasons, Dynamic Weather and Day & Night Cycles - Fully immerse yourself in the world of Rite of Life. Encounter different enemies, explore secret areas and experience new things as the seasons, variety of weather and time of day alter the world and how you can explore it. Unique Turn-Based Combat - A tried and tested turn-based combat system that allows you to choose how to attack your enemy, exploiting their weaknesses. Watch as the season, weather and time of day affect the strength and behaviour of the enemy you're fighting. Is the enemy more feral at night? Are they weakened in the snow? Can't they handle the summer heat? Discover when best to hunt certain enemies. Also includes a huge selection of skills, attack animations and fully animated boss battles! May 2018 Update - New Characters, Bios & Dialogue! 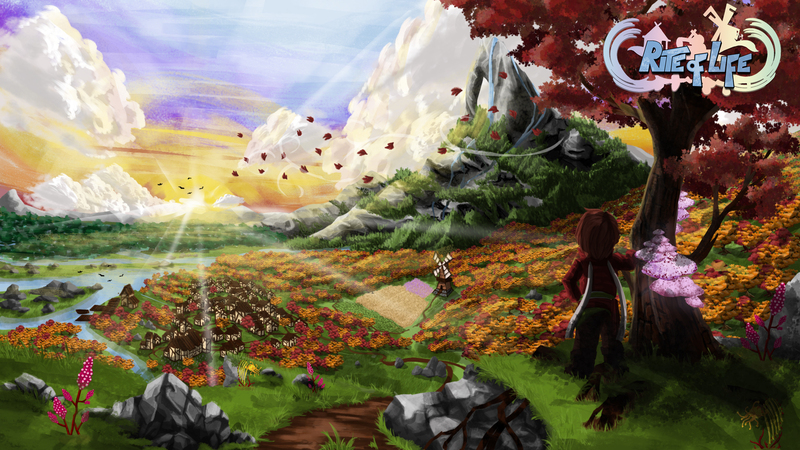 Welcome to our latest Rite of Life game development update. This time we’ll be diving into some of the characters that will populate your home as it continues to develop. Just a quick heads up, if you want to know absolutely nothing about the characters in the game prior to playing, you might want to avoid this update. We’re only going to introduce a handful of new characters this time, not the whole cast. However, we are going to reveal more characters with further updates. We will always let you know ahead of you reading though! All the characters in the game will appear in your journal with more information on them updated as you get to know them better. Additional information can be unlocked by chatting with them on a regularly basis, completing quests or just spending time with them. The biographies of the characters that appear in your journal will always be written from the perspective of your character. Victor Frank is a scientist who specialises in alchemy. Victor is quite a bizarre fellow who is always seen tinkering with another one of his latest inventions. Victor often gets new ideas from old texts that he has found on his travels and spends much of his time attempting to locate rare materials that he can use in his work. Magna Virum has been the host of the travelling carnival for as long as anybody can remember. Magna Virum is a rather large and energetic individual with a true penchant for showmanship. Beryl Taylor claims that Magna Virum was not always such a powerful orator and believes that he discovered some sort of magical device, whilst lost in the forest, that grants him a heightened sense of vocal projection. Bow was brought up in a remote shack in the centre of the forest. As a child she learnt how to respect the environment around her and to only use what was necessary to survive. Bow now acts as the last resort for the town when stocks and supplies run low; it’s her job to gather the necessary materials, in order for the town to be sustainable, whilst ensuring that there is a minimal effect to the ecosystem. Petunia Traynor is responsible for the care and training of pets in our town. Petunia devotes most of her time to caring for all of the homeless animals that she finds out in the forest. In order to help reduce Petunia’s workload, a number of the people from the village decided to adopt some of the pets; which has resulted in a number of racing tournaments being set up. Quasi is a simple but lovable member of the traveling carnival who acts as the ticket vendor. Quasi loves telling people facts about the items that they buy from him. Rumour has it that carnival owner, Magna Virum, found Quasi stranded in the middle of a lake whilst traveling from town to town. Magna rescued Quasi from his predicament and then adopted him into the carnival. Graham Marr is a teacher for the children in the village. Graham’s primary goal is to ready the children for life outside of the school so that they can contribute to the growth of the village. Grahams favourite subject is English, and he takes it very seriously; he is often seen getting red faced with anger due to someone not conforming to the rules of grammar. Richard joined our settlement along with Harry, Julia and Rose. Richard is an intelligent child who greatly adores the environment and often isolates himself in the outskirts of the village in order to be closer to the creatures of the forest. Despite being good friends with the other children, he is always the one who has the blame shifted onto him when the other kids play pranks. Richard is always the person the other kids look to when they have a problem that’s too big for them to solve. When Richard grows up, he wants to be a lepidopterist. Harry joined our settlement along with Richard, Julia and Rose. Harry is both the youngest and the shortest of the children in the village; he is often seen crawling around in the forest and as such is constantly filthy. When he grows up, he wants to be a treasure hunter. Julia joined our town along with Richard, Rose and Harry. Julia is the oldest of the children and is seen as their leader. She considers one of her prime duties to be organising pranks for Harry and Rose to participate in. When Julia grows up she wants to be a detective. Rose joined our town along with Richard, Julia and Harry. Rose spends most of her time following Julia around - pranking Mr Marrs. Rose is the second youngest child and often uses her age to lord over Harry. When Rose grows up, she wants to be Julia. That’s it for this update. We are currently focussing on characters from a writing and design point of view. Our next update will be next month and reveal a whole host of new characters. We look forward to showing them to you. Thanks for your support, please keep an eye on our social media channels and don’t forget to join our Discord if you haven’t already! Come chat with us, give us feedback on the game. We look forward to hearing from you! ROL New Year Update! - Visual Updates, Combat, New Characters, Minigames & More! We're back with the first Rite of Life game dev update of the New Year! Rite of Life Demo Launches March 20th! Development Update - Environment, Music, Minigames & More! Oh wow, only 3k pounds? That is pretty small. Do you still think you'll do the relationship mechanics? Or PS4 port? I would like both still lol. Sorry for the late reply, didn't see your comment! You can use dual weapons depending on how you decide to level up and when you learn certain passive skills. Dual weapons combined with certain passives will allow you to do double or with a lot of luck triple hits to your opponent. Wow, been wanting a Rune Factory like game and a town building side game in one. Also glad to see the Sphere Grid lookalike. Would prefer being able to play it on PS4 though as I am a console peasant but I may make an eception lol. One more thing: will this have the social and romantic aspects of Harvest moon and Rune Factory? I do greatly enjoy those things. Thanks again for the comment, feel free to ask any questions! Well, it'd be great if you could do that, and I'll be selfish and ask for some priority on relationships and PS4 :p. Still, spent 100 hours getting the Platinum trophy on the PS3 Rune Factory and would love a new game in the vein. Also, love upgrading town. Don't expect this suggestion to be accepted, but I would like a Metroid/Zelda style item system. Like, being able to craft bombs to open up caves, or raise Fire monsters to burn dead wood to access new areas of the forest (upgraded fire m burn down bigger trees). Maybe some more involved puzzles. I'd understand if you can't or won't do something like that as it'd be a lot more work and stuff, but I would personally love it a lot so thought I'd mention it anyway. Don't really follow too many indie games (only really one so far lol) but I still think I'll be willing to throw a few bucks at your kickstarter so yay. Nothing wrong with suggestions, suggest away! The relationships/marriage mechanics will be early stretch goals so they have priority. Well personally, I think tying in game exploration to building your town and skills would be cool. Honestly we'd probably do the friendship/marriage mechanic using dialogue trees opposed to gifts and taking them on quests. Maybe something similar to The Persona game's social link mechanic? Every time your 'friendship' levels up you'd get a small cut-scene between yourself and the character you're interacting with. Then there would be a point where you decide to make the relationship romantic or stay as just a friendship. When maxed out you'd receive an item from them that will benefit you. Maybe you could give them gifts to increase your relationship level quicker.